If you’re serious about culinary content or want to connect with the biggest names in food…TECHmunch is your must-attend event in 2016! At TECHmunch, you’ll learn practical, hands-on ways to improve your content, build your audience and turn your passion into profit. You’ll also connect with colleagues, as well as brand marketers eager to partner with you on exciting promotions. Best of all, you don’t have to travel or spend a small fortune to attend. TECHmunch is the only traveling food blogger that comes to you! 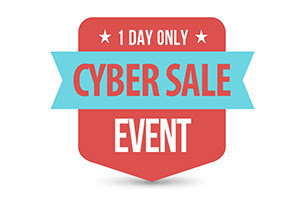 Enter the promotional code “cybermonday” on the Eventbrite ticket page (it’s above the green “order now” button). Once added, you’ll see the special discount. This discount ends tonight (10pm PT). This discount will not be available in the future.